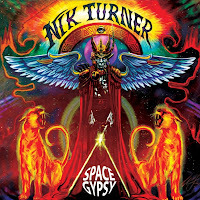 JP's Music Blog: CD Review: Former Hawkwind Member, Nik Turner Goes Out In "Space"
CD Review: Former Hawkwind Member, Nik Turner Goes Out In "Space"
Singer/Saxophonist/Flutist Nik Turner, former founding member of the seventies "space rock" band Hawkwind, finally has a brand new solo album entitled "Space Gypsy." It is Turner's first new album in over a dozen years and it will be released on September 24th through Purple Pyramid in association with Cleopatra Records. The album begins with the space rock of "Fallen Angel STS-51-L" as Turner only gets a few moments to showcase his sax playing on this up-tempo rocker. The energy continues on "Joker's Son" as Turner's sax solo becomes the highlight of the song. He brings you back in time for the retro-sounding "Time Crypt" featuring fellow Hawkwind band mate Simon House on violin and then Turner lets his flute do the talking on the epic, atmospheric "Coming Of The Maya." He shows his softer side on the acoustic "Eternity," before finishing up the album with the sixties rock vibe of "The Visitor." After the release of his new album, Nik Turner and his band will embark on a two month U.S. tour beginning October 9th in California before making its way eastward. 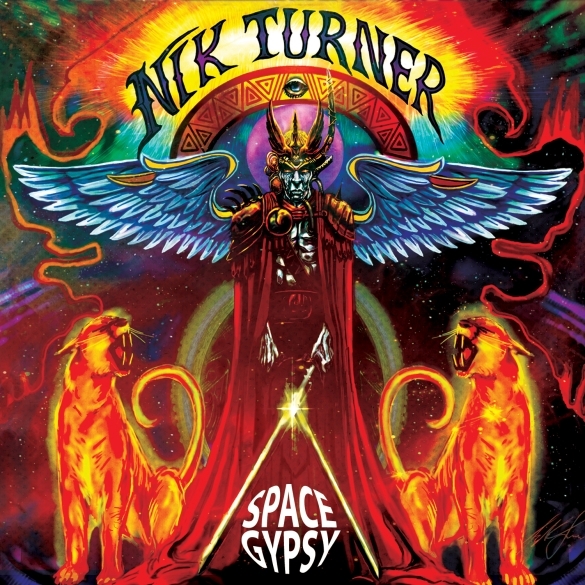 Turner will also be performing a free show on October 30th at BAR in New Haven, CT. For a complete list of tour dates and to find out more about his new album "Space Gypsy," please visit cleorecs.com/home/hawkwind-legend-nik-turner-returns-with-a-new-cd-space-gypsy-upcoming-us-tour/.